This delicious fall and winter salsa is great with chips, tacos, quesadillas, fish and so much more! I'm absolutely loving every minute of fall this year! Fall has always been one of my favorite seasons growing up in Minnesota. I love the leaves changing colors, making delicious comfort foods in the oven and bundling up in comfy sweatshirts. 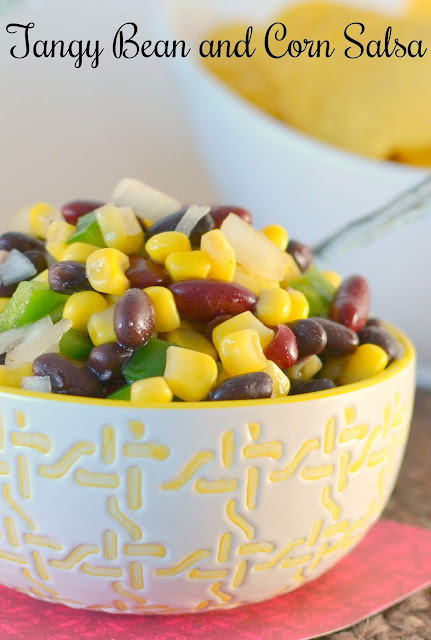 Then there's all the amazing game day recipes to snack on during football and basketball games. Today's recipe is one of those! 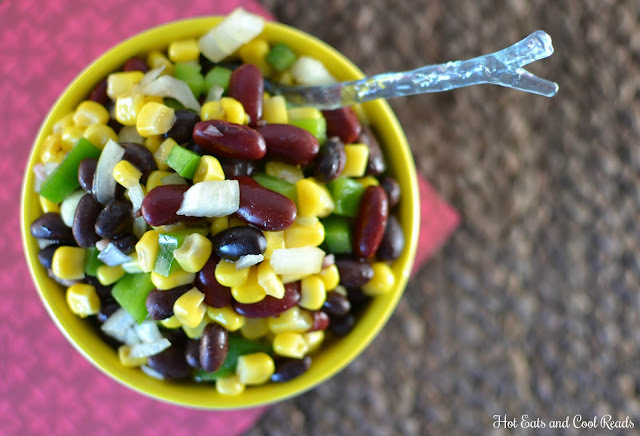 This Tangy Bean and Corn Salsa uses mostly pantry ingredients, making it easy to whip up anytime. The only fresh ingredients are the onion and green pepper, and I usually have both in my fridge at all times. The tanginess comes from the delicious sauce made from apple cider vinegar, soy sauce and a few other ingredients! 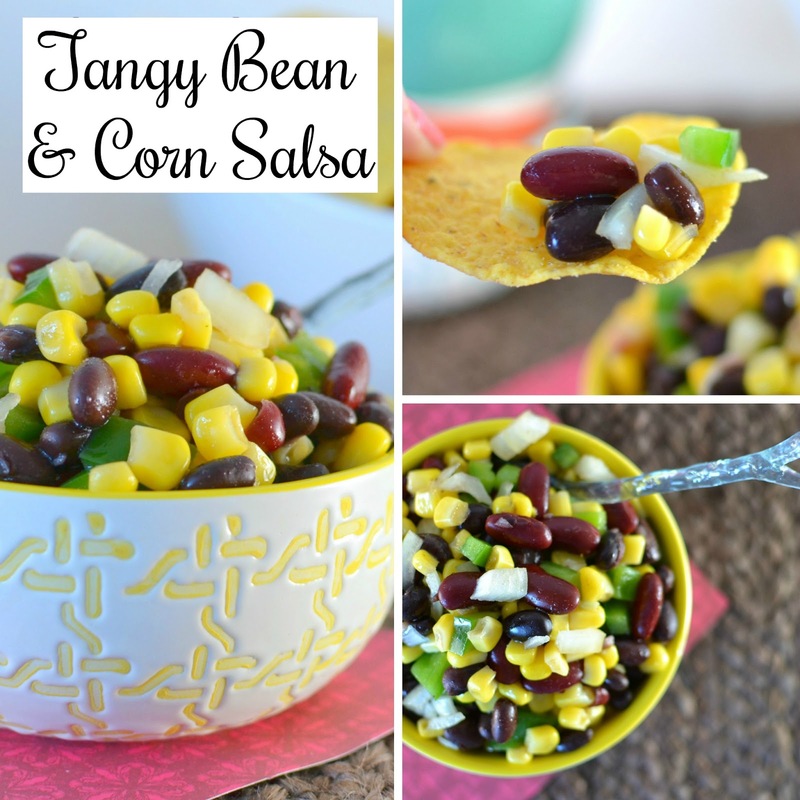 It's great as a salsa with chips, but we also love it with fish, chicken, or any Mexican themed meal! The flavors are bold, but not too overpowering. It has the right amount of balance with all the ingredients. I love how budget friendly this recipe is too! 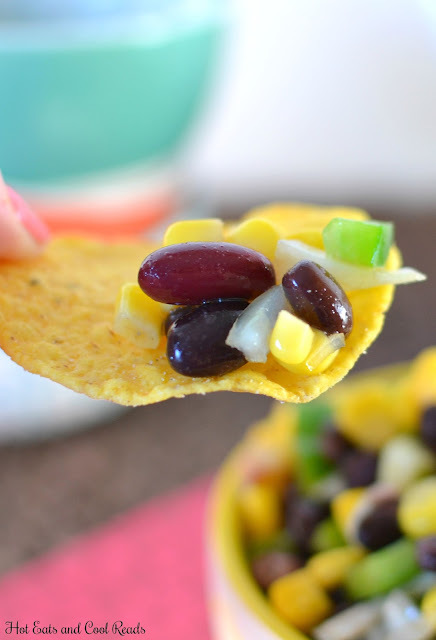 It only costs a few dollars to make and I usually purchase my chips from Aldi, making this recipe less than $5 total! In a small saucepan, stir the vinegar and sugar. Bring to a boil over medium heat until sugar dissolves. Set aside to cool. Once cooled, whisk in the olive oil, soy sauce and black pepper. 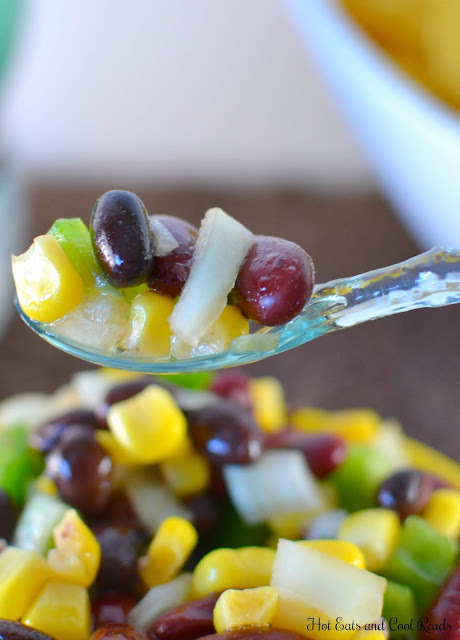 Drain and rinse the black beans, kidney beans and corn. Combine the beans, corn, green pepper and onion in a medium sized bowl. Pour the prepared sauce over the veggies and stir to combine. Refrigerate for at least one hour, stir and serve with tortilla chips.